Tmall is the biggest B2C marketplace in China. It is also the most popular e-commerce platform for brands and businesses that are legally registered and operate in the country. Tmall is the largest B2C (business-to-consumer) site in China. Tmall was created by Taobao in 2010 and since its launched has become the first online sales site in China. Tmall operates in Mainland China,Hong Kong, Macau and Taiwan. This e-commerce platform allows brands and companies to sell their items and services directly to consumers in the Asian giant. The same as Taobao, Tmall has integrated Alipay’s payment system. Nevertheless, one of the principal differences between Taobao and Tmall is that in Tmall.com, marketers need to be approved in order to set up a store in this e-commerce platform. Due to the company policy, consumers have guarantees about the authenticity and the high quality of the products. Tmall is part of Alibaba group that owns many e-commerce platforms like Alibaba, Taobao, Tmall, Juhuasuan and AliExpress. What means Tmall for businesses? In contrast to other Chinese e-commerce platforms, Tmall provides a major protection to customers because of the 7-day return policy. As well, Tmall’s marketers are more reliable and trustworthy because they have to be approved before to set up their shop. Tmall includes Alypay as online payment system which is very popular in the Asian giant and is considered as a trustworthy system by Chinese buyers. Also, Tmall integrates analytic tools such as “Daily Update” which provides daily sales reports. Those tools are very helpful for merchants in order to design strategic decisions based on their competitors’ sales data. Nowadays,Tmall has more than 70,000 brands in over 50,000 stores and allows marketers to sell their items to the entire Greater China region. As a result of its enormous popularity, Tmall is the place to be in order to reach Chinese consumers without have to open a store in the country. Flagship store: Vendors who are brand owners or have an exclusive authorization from the brand owner can apply for a flagship store. Authorized store: Vendors that hold authorization documents from the brand owner to set up a store on Tmall.com are able to open an authorized store. Specialty store: This store format is appropriate for vendors who sell goods of two or more brands but that belong to the same product category. Only businesses located in Mainland China and with a Chinese retail business license are ableto open a shop on Tmall.com. Vendors have to submit the required information such as documents which confirm the reliability, genuineness and the existence of the company and its goods. 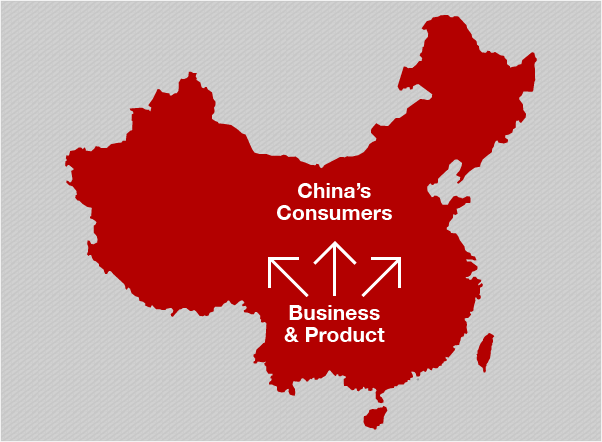 Products have to be located within China with the aim to send the order quickly to customers. Tmall requires that marketers must ship an order within 72 hours after the purchase. Customers have 7 days after of receiving the good, to return it for a refund. Gentlemen Digital Marketing Agency will help you to set up your Tmall shop. Help you to submit all the documents required to create the Tmall account. If you are interested to have more information about Tmall, don’t hesitate to contact us.